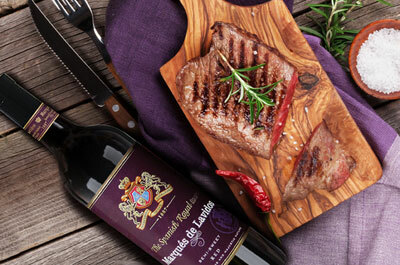 The wine of TM «Marqués de Lavidos» is a fine wine with a rich tart flavor, created in the best traditions of Spain, which is characterized by a special temperament and unforgettable aftertaste! Manufactured and spilled according to the original recipe 199, Spain. A unique combination of ancient traditions and modern technologies contribute to the creation of the best blends, famous for their exquisite taste on the territory not only of the country itself, but also far beyond its borders. A great way to approach the world of Spanish winemaking, to feel its unique atmosphere is to try the line "Marques de Lavidos".